Glass Cleaning Wipes combine the patented, residue-free glass cleaner formula with a lint-free wipe to give your surface a streak-free shine. Quick, easy one-step application has just the right amount of ammonia-free cleaner to keep glass and surfaces looking new while eliminating messy overspray. Easily remove dirt, dust, fingerprints, smudges, smoke film, spots, and soils on contact while drying crystal clear. The professional strength soft wipe withstands the demands of institutional, janitorial, automotive, and industrial applications. 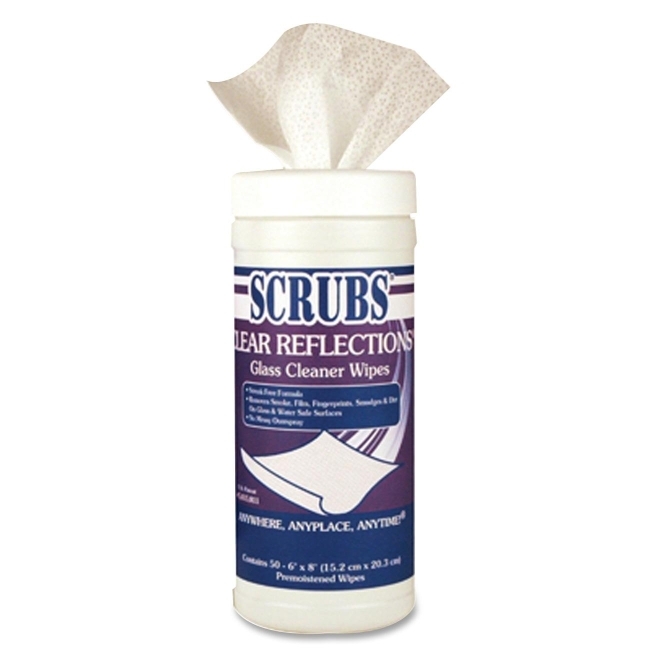 Wipes are safe to use on mirrors, windows, windshields, display cases, tinted glass, monitors and even fine lenses.